Dr. Scher spent two years in the United States Public Health Service providing dental care for Native American Indians. He has maintained membership in the American Dental Association, the Academy of General Dentistry, the New Jersey Dental Association and the Mid-Atlantic Dental Implant Institute. Dr. Scher has been a respected member of the dental community for over thirty years and was recently chosen by his peers as one of New Jersey's best dentists. He and his wife, Susan, reside in Monmouth County where they raised their two daughters, Jennifer and Emily. Dr. Mills has been with the practice since 1989. He is a graduate of New York University and the State University of New York at Buffalo School of Dental Medicine. He completed a general practice residency at Monmouth Medical Center and CentraState Medical Center. Dr. Mills is a member in good standing of the American Dental Association, the Academy of General Dentistry, the New Jersey Dental Association, and the Monmouth-Ocean County Dental Society. He enjoys providing comprehensive dental care for his patients with an emphasis on restorative and cosmetic dentistry. 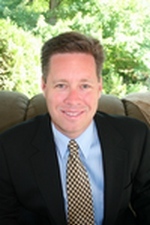 Dr. Mills resides in Monmouth County with his wife, Maggie, and their two children, Emily and Matthew. In his spare time he enjoys playing golf, traveling, and spending quality time with his family.